Those looking for evening entertainment no need to look further as the purchase of a bottle of wine and the dome’s private wood fired hot tub from which you can watch dusk turn to night will complete this truly unique and romantic getaway! 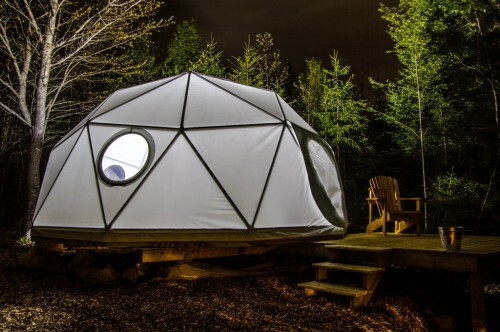 Stay in a luxurious but cozy cabin and sleep in the Stargazer Dome, it’s Glamping with a touch of adventure. Suitable for up to 3 couples. 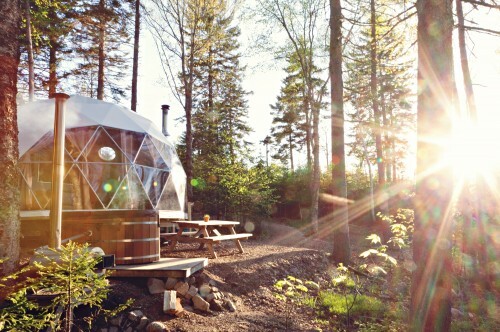 3 Stargazer Domes with Deluxe Cabin is open from Spring to Fall. Add the 5′ round Wood Fired Hot Tub to your booking to give your stay a extra romantic touch! 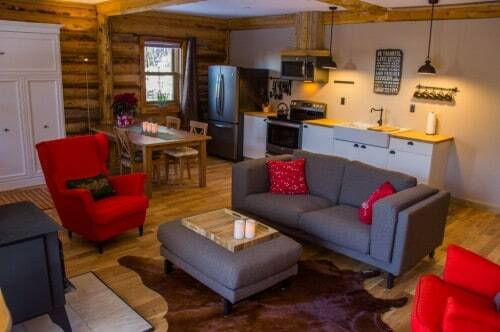 This cabin is rented from fall to spring. 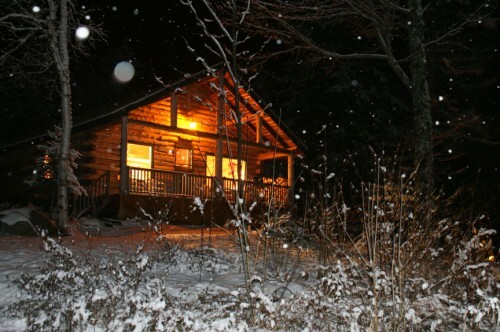 Rustic cedar log cabin with 1 bedroom, fully equipped kitchen, bathroom, cozy living room and heated with wood stove. Situated in wooded area close to pond and trails.